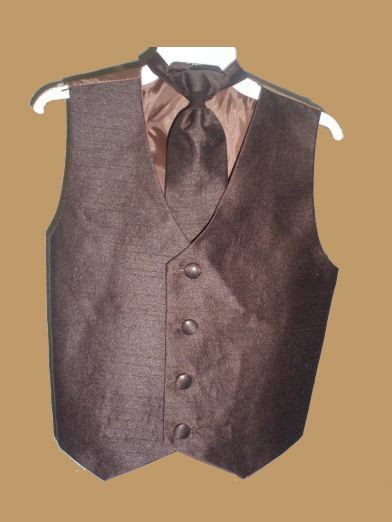 This full vest from Lito is in a wonderful lightly textured poly silk material. This option includes a matching wrap around long tie. Pictured is the chocolate brown color. Matching flower girl silk sashes and a large flower are available. Runs slightly small. Refer to the general size chart. Ships in 1 - 2 business days.